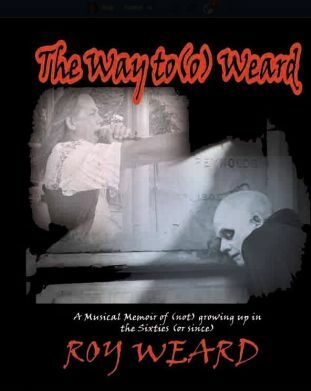 After a life spent in and around music Roy Weard has finally written it all down. From his beginnings in the folk clubs of the early sixties, to playing the free festivals of the seventies with his own band 'Wooden Lion', to touring as a merchandiser with acts like Santana, The Pink Floyd and Genesis, to fronting cult London bands 'Dogwatch' and 'Roy Weard and Last Post', then touring again as a sound engineer and tour manager for many different bands and solo acts. A wide and varied life - this book spans all of that and more and is freely sprinkled with backstage stories and tales of a life spent on many different roads. It also contains many photographs, mostly taken by Roy, the crews he toured with, or by the fans of his various bands. Even now he is unable to give up being involved in music. He still fronts the revived band 'That Legendary Wooden Lion', is part of the team that puts on monthly gigs in Brighton and Hove under the name of 'The Real Music Club' and does a weekly one hour radio show on Tuesdays at 4pm on Brighton and Hove Community Radio. The book is published by Gonzo Multimedia and is out now. We held two successful book launch parties - one in London and the other in Brighton and the details for these can be found in the latest Captan's Blog.